All of the these cutting boards are handmade here in my home shop. 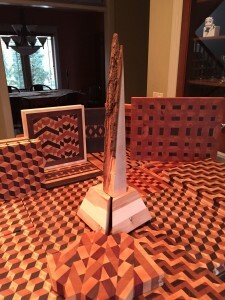 Most, but not all, are end grain cutting boards, which means that the wood grain is vertical thru the board. 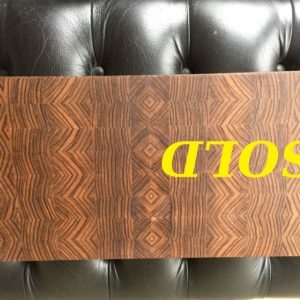 Because these boards are end grain, they are a bit easier on your knife blade, and your knife is much less damaging to the board itself. 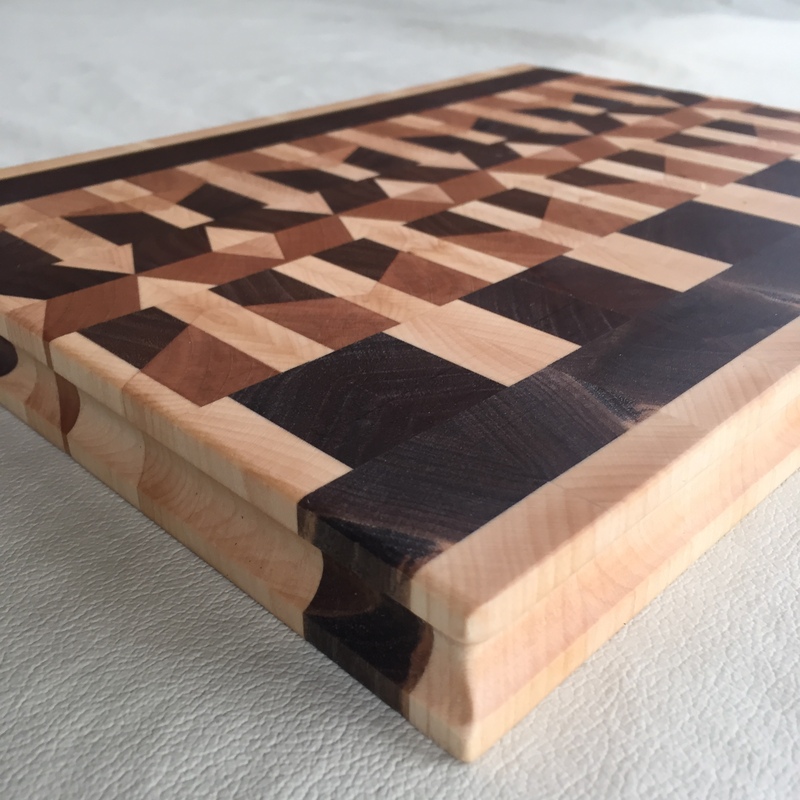 Most damage (knife cuts) to an end grain cutting board can be repaired by applying oil to the board which is then absorbed into the grain, causing it to swell enough to close up the cuts. 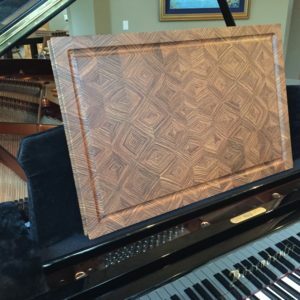 This only works with end grain cutting boards, giving them extra life! The woods used are all hardwoods so they will last a long time. The glue I use is Titebond III, which is both waterproof and non-toxic. 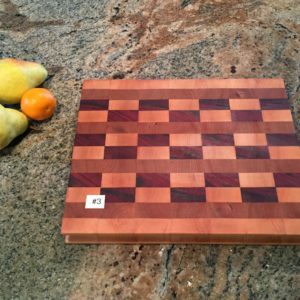 All of the boards are finished with food grade mineral oil (tasteless, clear, and non-toxic), with the final coat of a mixture of mineral oil and beeswax. 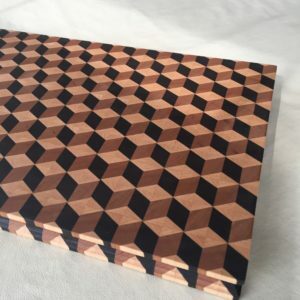 Each cutting board has the same design on the top and bottom, and the sides are carved in on every board so that it is easy to lift without having special handles. The boards all can stand up on their sides, and either surface can be used for cutting on. sold 3740 zebrawood 24"x 15.5"x1.375"